Emily is a rising sophomore at Harvard University where she studies computer science and runs on the cross-country and track-and-field teams. After graduating, she hopes to apply her technical skills to solving societal problems. She has previously worked on developing the Khan Academy’s programming curriculum. 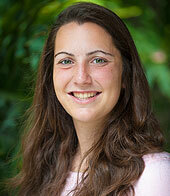 Emily is from Palo Alto, California, and is passionate about the outdoors and travel.